The word cyanotype means “blueprint” and this process is best known as an architectural or scientific tool. Cyanotype was developed in the 1840’s and became popular with ametur botanists and early home photography enthusiasts. The first book illustrated with photographs was Anna Atkin’s British Algae: Cyanotype Impressions, published in 1843. Cyanotypes are made by applying a photosensitive emulsion to a surface. The mixture of two iron salts becomes photosensitive and when applied to natural fibers, exposed, and washed with water an endless spectrum of blues are revealed. Because the mixture is sensitive but not as fragile (or expensive) as silver nitrate, cyanotype can be produced without a darkroom and without the harsh (often dangerous) chemistry needed for most other photographic processes. 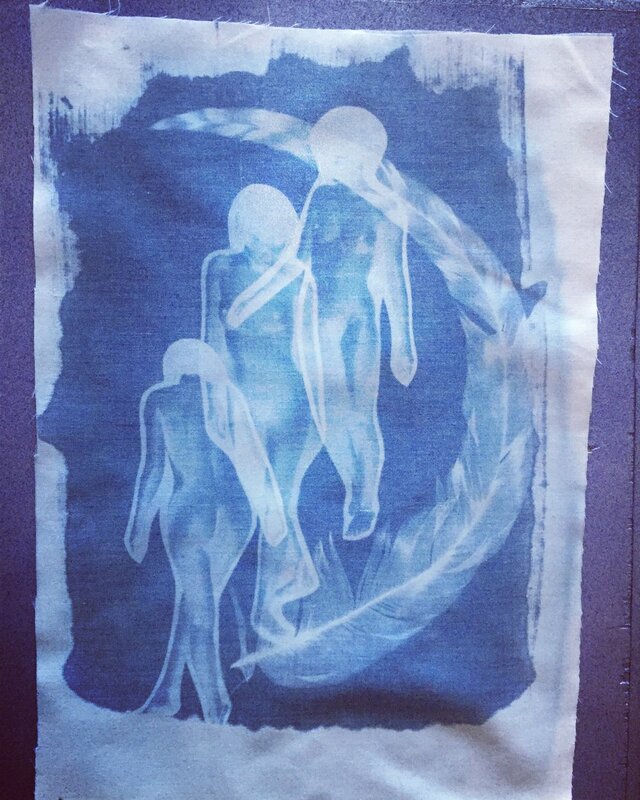 Cyanotype can be used to produce evocative and beautiful images with very little experience. The medium is fun for all ages and abilities. Stay updated on the BLUE ENCOUNTERS Project and programs including special invites to events, latest news, and Magik Press.